I love antiques. I really do. Just a few weeks ago, I visited one of my favorite local antique markets, not looking for anything in particular. 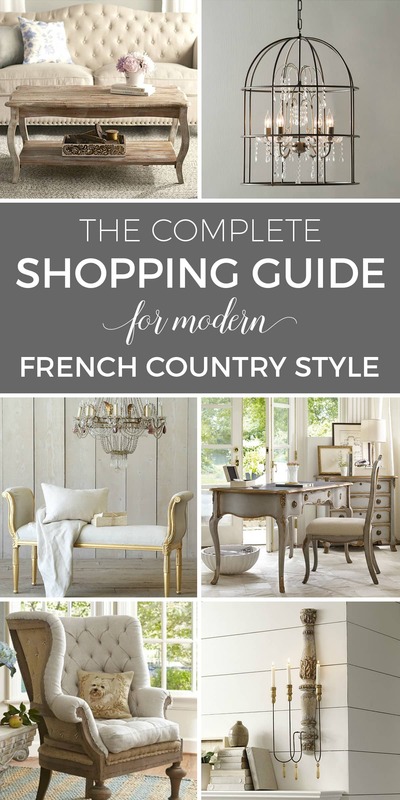 The best shopping trips are those in which you can leisurely stroll about and let serendipity take its course. This was one such trip and I found a lovely crystal chandelier that was both beautiful and well priced and didn’t need to be re-wired either. 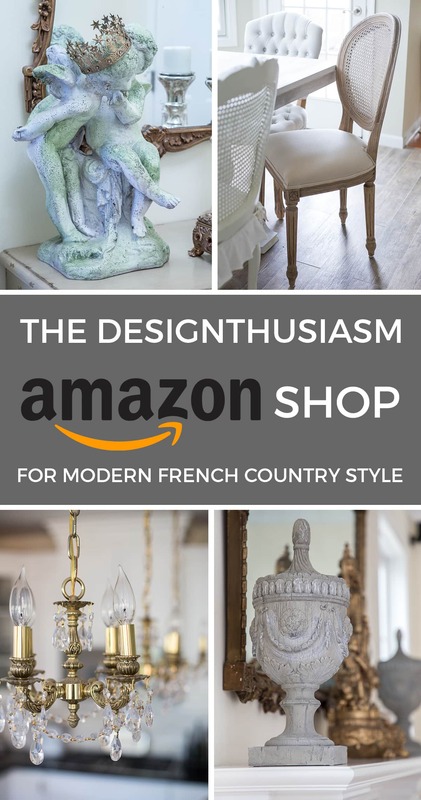 So, I brought it home with the intention of cleaning it up and hanging it in my kitchen, a room with a nice enough tole chandy that I preferred to “Frenchify” a bit more. 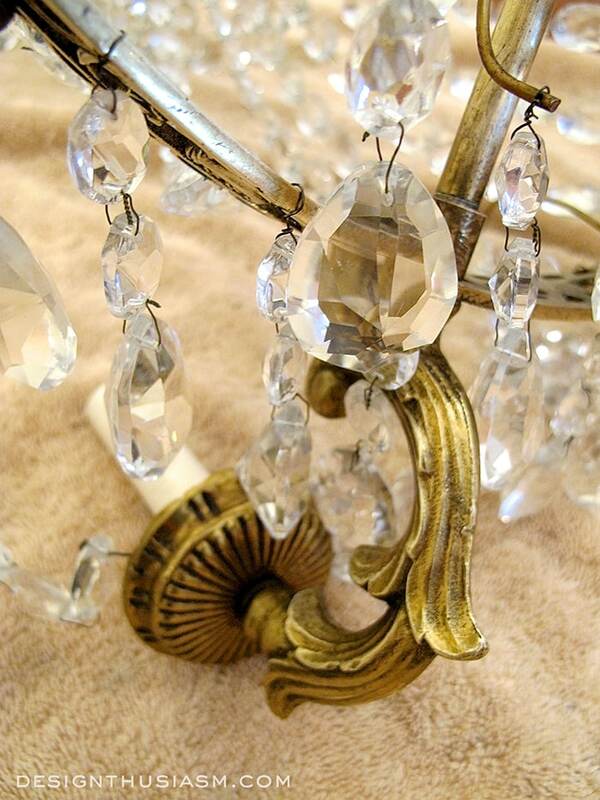 There’s nothing more satisfying than reviving an antique chandelier. 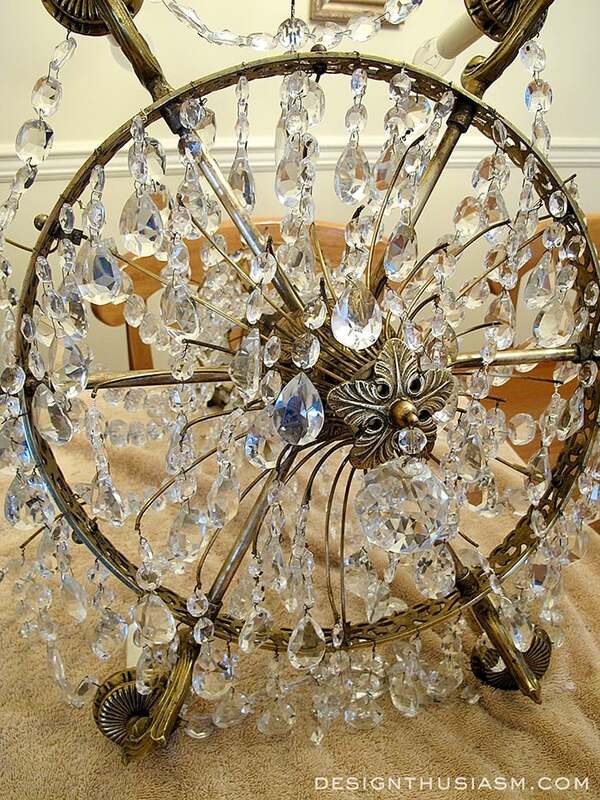 I set to work on the chandelier, which came with a box full of missing crystals and a brass skeletal frame that was nearly black with grime. Now, I love patina, but for me a little gleam shining through the darker bits is what truly gives the patina its beauty. I started with my store bought bottle of brass cleaner and quickly realized this was way too complicated a piece to work on this way. The thick liquid left a significant residue, the rubbing was taking forever to produce results and the delicately attached crystals were flying off by the handful as I worked on the piece. This is when I consulted Google. I needed a better option for working on the brass body. It was too intricate to get my hands inside for any worthwhile length of time and my fingers were getting cut up rubbing against the crystal and metal. I needed a process that would produce results faster and with less residual buildup that itself then needed to be cleaned away. 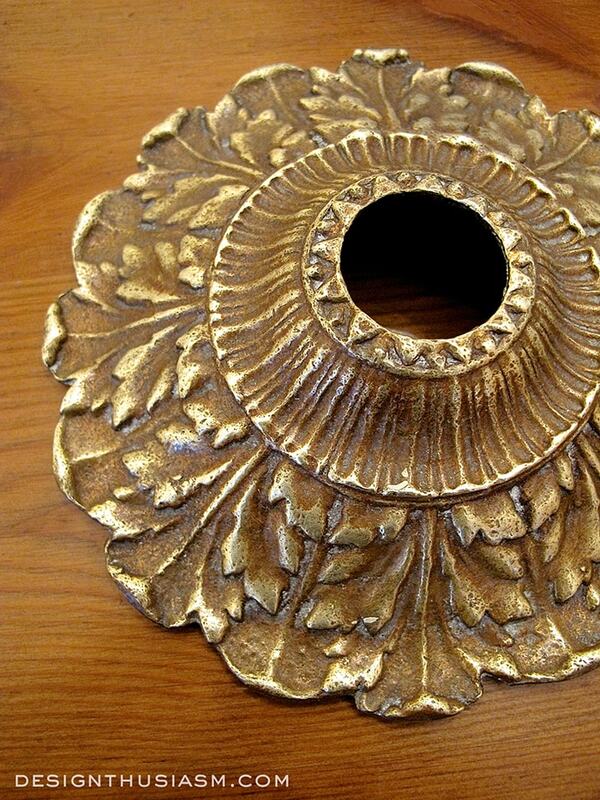 I will tell you, there is no shortage of brass cleaning ideas on Google. But I read for some time, because, of course, I didn’t want to ruin the piece. I briefly tried several suggestions from ketchup and vinegar to creating a baking soda paste. I used none of these for more than a brief test. I was scared off by other comments denouncing them as destructive, although in the end, I wound up using a method I never would have thought would be gentle enough for metal. First I worked with a toothbrush. Given that when I clean silver, I’m careful to use the softest cloth for fear of scratching, I was shocked to see this suggested. But sure enough, the brass wasn’t scratching and the brush did help remove the dirty coating. The problem was the brush was also spraying the brass cleaner all over the piece. I had always intended on cleaning the crystals last, but this was adding a white film to them and everything nearby, that would be even harder to remove. Finally, I moved onto the process that wound up being what I successfully used to clean the rest of the piece. Never in a million years would I have started with this and I was shocked that it not only didn’t scratch or ruin the metal, but it also left just enough dark bits behind for that lovely patina that I find so desirable. It also made cleaning the sprayed bits of brass cleaner a cinch. So what did I use? Steel wool. Yep, plain ordinary steel wool. When the metal was sufficiently cleaned, I brought out my wire jewelry tools and re-attached all the disconnected crystals. This was a long and painstaking process that was ultimately quite satisfying. So, do I have a photo of my finished piece hanging in my kitchen? A ton of work but what a wonderful find and it looks stunning now!! WOW! 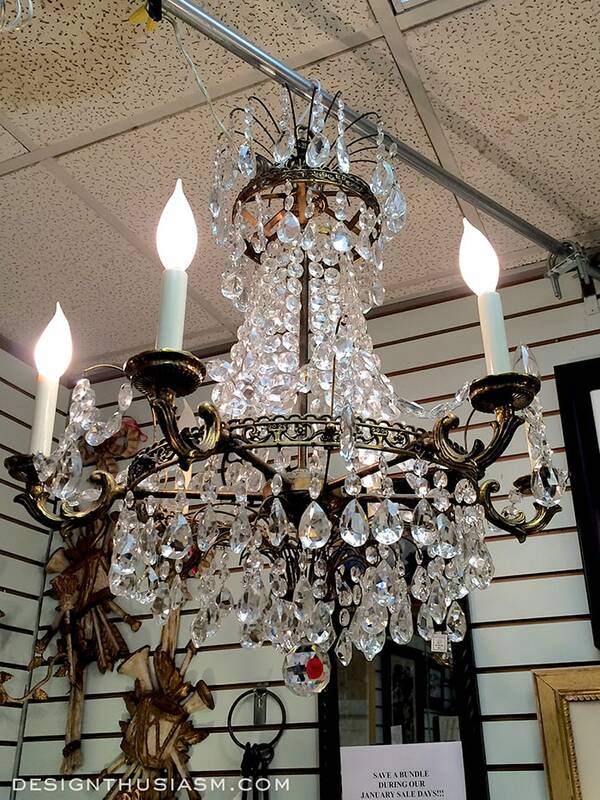 That is one gorgeous chandelier! 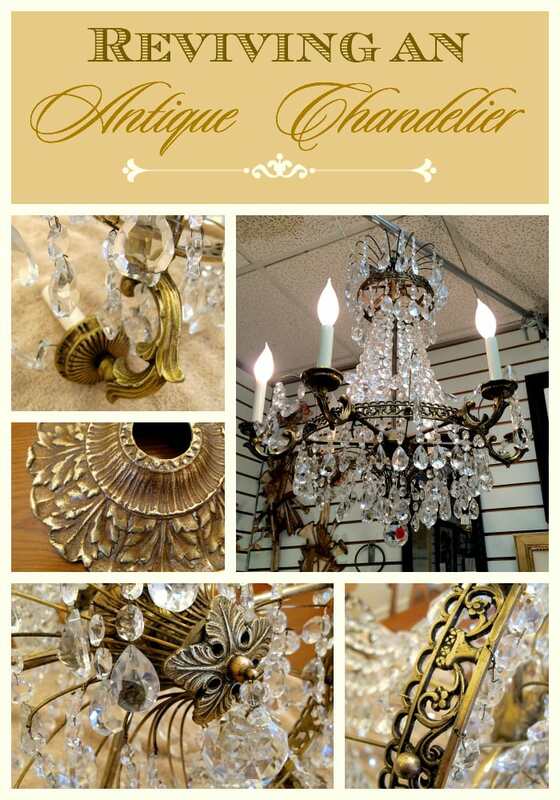 Your antique chandelier is lovely. Can’t wait to see it in your new kitchen. Thanks, Sharon! I must admit, I’m anxious to see that too… 😉 You can be sure there will be a post about it once we move. What a gorgeous find! Thanx for sharing it at THT. Wow, Lory it ‘s beautiful! Your hard work certainly paid off! 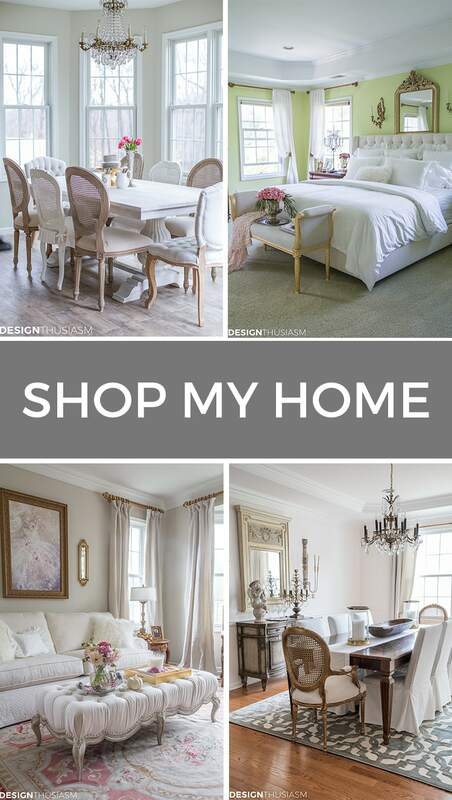 You are selling your beautiful house! Hope you find what you want and hang this beauty in the kitchen. Thanks, Ellen! Yes, we found just what we were looking for… 🙂 Very excited now! I have some white dishes of my mothers that have 24kt gold on the edge which began to tarnish. I found using my finger and rubbing the gold rim with my toothpaste (Optic White, red box) then wiping it off with a soft cloth did the trick. Some of the stubborn tarnish required a bit more elbow grease. Steel wool? Who’d a thunk it? Looks gorgeous, though! Congrats on the new house! Thanks for linking up at Best of the Weekend! Thanks Amy! I know – it had me nervous. But worked like a charm… 🙂 Thanks for hosting! Okay, that’s a tease! Now we have to wait? Ha ha… I know. Imagine how I feel… 😉 I will definitely get that puppy up as soon as I can. Thanks for visiting.! WOW! That is just beautiful…I would be beaming with pride after that find:) I hope you find a special spot for that beauty in your home! Thank you so much, Cindy! I have a lovely spot picked out right over the table in the breakfast room, so it will really bring the room to life! Wow, you really made it come alive. I love it!! Thanks for sharing with SYC. What a gorgeous piece! It looks amazing! You have a beauty on your hands. 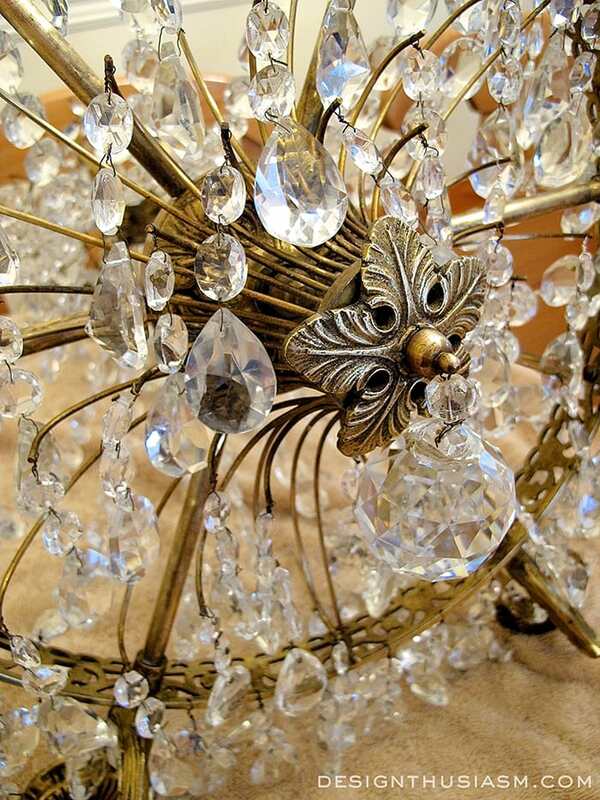 I so love the antique chandeliers and love all the pretty crystals. Since tomorrow is St. Patrick’s Day, I will tell you I am green with envy! Ha ha, great comment… and thanks, Jan!! Lory, that is absolutely gorgeous! I can well imagine the tedious process of cleaning the brass, and just see the spatter of white residue flying out to land on your crystals. I’m going to remember the steel wool trick because I usually give up on big pieces like that. The finished result is unique and beautiful. I know you will enjoy that in your new home. Thanks, Florence! It was definitely a challenge and a labor of love… 😉 I do love reviving old pieces. 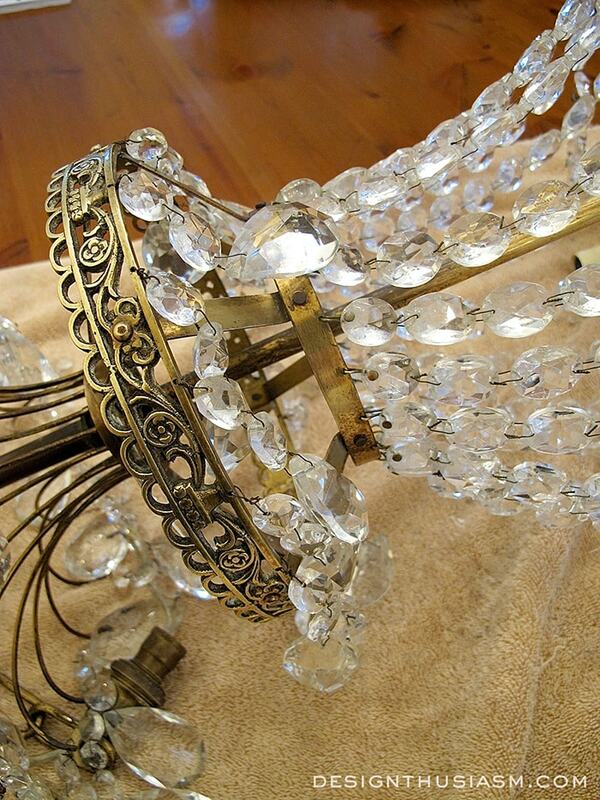 It’s awesome that this article talked about reviving an antique chandelier. 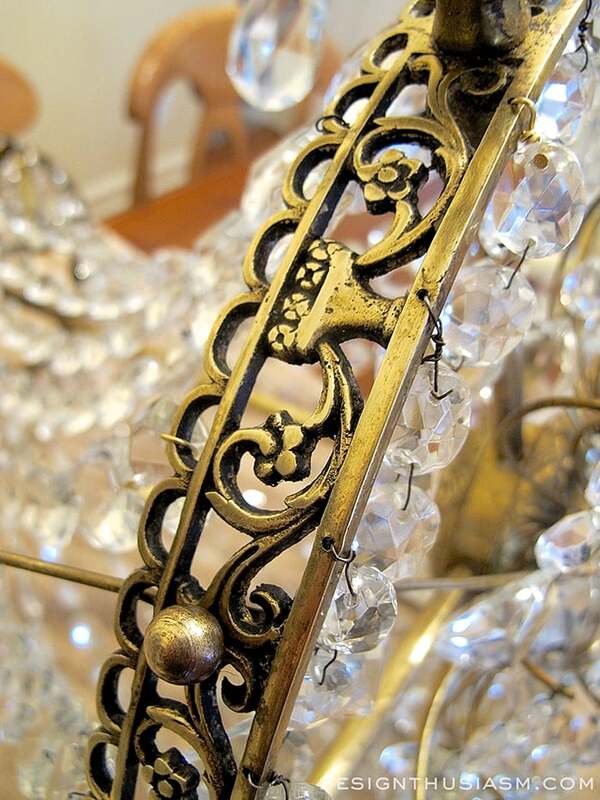 In our old farmhouse, we have a very beautiful antique chandelier left by our great grandmother. It’s keeping an maintenance is under my responsibility that is why am so happy when I found this article. By the way, one of the images seemed to be looked like ours, cool!